Having grown up by the ocean, with a passion for all kinds of sport and physical activity, it was a natural progression for Diego Core to focus on the world of sports and science and then to integrate his passion and knowledge to develop an holistic approach to health and fitness. Diego’s life experience has led him to understand that movement is critical to maintain the body’s innate efficiency and functional balance. Various studies have shown that over time the body adapts to the misuses of modern daily life, developing muscle imbalances and misalignments in posture. These can lead to faulty movement patterns and dysfunctions in the locomotor systems, disorders in the central nervous system and in organ function. Over the past decade Diego has participated in a number of courses at the most respected institutes in the field of health and exercise. He has built on his studies and integrated his knowledge of the human body, movement, sports science and physiology to develop a state of the art approach known as Integrated System Training (IST). 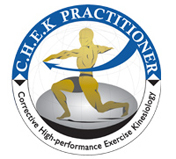 CHEK musculoskeletal assessment to reveal muscle imbalances and disorders within the system. Corrective and CST mobility exercises are used to fix the body dysfunction by improving your posture. 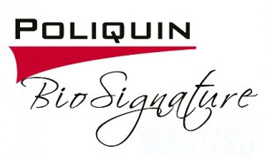 POLIQUIN’s Biosignature modulation to assess hormonal profile and any possible imbalances. This system based on scientific evidence that where people store their body fat is an indication of their hormonal profile. Consequently body fat levels and corresponding imbalanced hormones can be effectively managed through a combination of diet, exercise, a targeted supplementation program, and lifestyle modifications. Exercising in all planes of motion, using the most appropriate tools (Clubbells, Kettlebells, Dumbbells, Barbells, Suspension, Ropes, Gymnastic Rings, Body Weight Exercises, Swiss Ball, Slackline and Cables) that help replicate our natural patterns of movements and build the body for the demanding strength and conditioning training. Using the IST approach, Diego will analyse your current state of health and fitness. 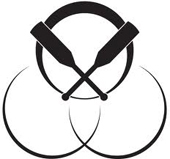 He will develop a tailor made program designed to solve any musculoskeletal injuries, muscle tensions and associated pains and focused on improving your health and strength and your ability to perform at ever-higher levels and to attain a HEALTHY, LEAN and STRONG BODY. Diego Core – Body Efficiency provides personal training at exclusive studio in Marylebone, London’s royal parks or in the convenience of your own house.